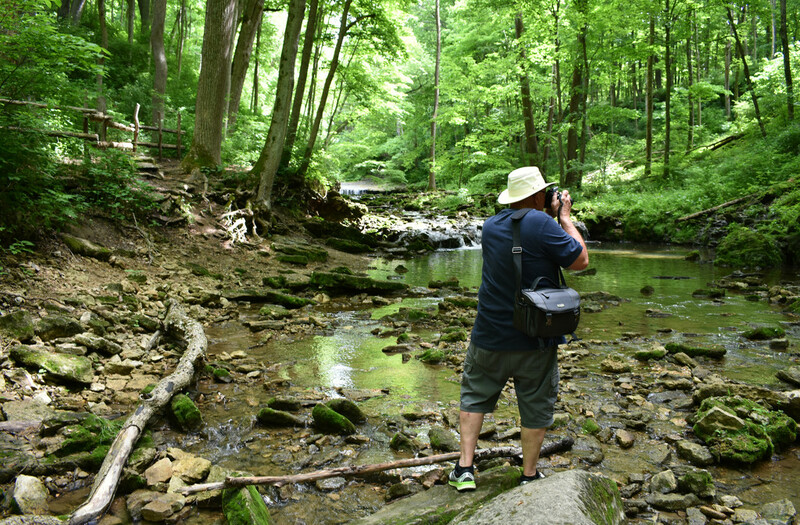 Yesterday, my dad and I went on a mini day trip to my favorite hiking place in Yellow Springs...Glen Helen. It's been on my spring bucket list since March. He was having camera issues and questions and I was happy to help him troubleshoot and figure things out. We had a really nice time hiking in a gorgeous place, enjoying a nice lunch and then treating ourselves to delicious Golden Turtle sundaes at Whit's on the way home. A perfect kind of day. You’re so blessed to be able to spend this time together!!! Sounds like a perfect outing. Sounds like the two of you had a good time! Good for you! Sounds like a lovely day and how nice that you could spend it with your dad! How much fun! I know your dad loves his time with you! What a lovely way to spend your time!! Treasured moments!! What a great way to spend time with your dad! This sounds like such precious time to spend with your dad. How special to have a day out like this. So special shooting with your dad in this gorgeous place.